Cape or ranch, colonial or contemporary, the house — more even than the car, the skyscraper or the Hollywood movie — is the American idol. But now, demographic, political and meteorological changes are calling the future of the single-family house into question. Its critics say that the house is too sprawling in a time of climate change, too expensive in a time of economic inequality and just too boring for many city-dwelling Millennials; that more of us should live closer together, in neighborhoods near mass transit, with less need to drive and more chance to interact. Its defenders say the single-family house is what most people want, if not what professional planners, social reformers and academics — the elites! — want for them. And they say that construction of new houses on empty land at the edge of the metropolis offers working- and middle-class people the best shot at the American dream. But the image of the house is clouded by Houston’s experience with Harvey; by the need in California and elsewhere to both cut greenhouse gas emissions and build more housing; and by the Millennial generation’s looming decision about where to settle. In Houston, famed for its rapid construction of relatively affordable, market-rate single-family houses, the ravages of Hurricane Harvey have raised questions about the wisdom of paving so much of the floodplain and drainage areas. In California, where single-family house prices are drifting beyond the reach of the middle class, a proposed law would promote multi-family housing and discourage sprawl, effectively declaring YIMBY — yes in my backyard. Across the nation, members of the Millennial generation, the largest in history, face two questions: Do you want a single-family house? And can you afford one? If Whitman was the poet of the single-family house, its polemicist is Joel Kotkin, a former East Coast newspaperman who now lives and teaches college in suburban Southern California. Three years ago, he founded a Houston-based think tank, the Center for Opportunity Urbanism, to extol the low-regulation, low-tax school of real estate development. He says the future of American cities can be summed up in five letters: T-e-x-a-s. Last year Houston and Dallas were No. 1 and 2 nationally in single-family building permits, with about 35,000 each; the next closest metro was Atlanta, at 25,000. 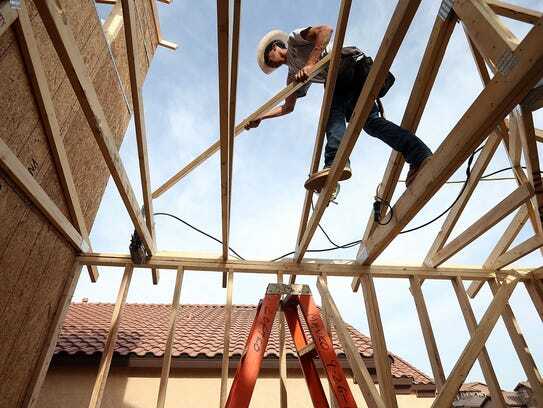 Nationally, single-family home construction, eclipsed by multi-family starts after the housing market crash a decade ago, regained primacy two years ago. Single-family home builders’ confidence hasn’t been as consistently high since 2005. Home ownership has stabilized around 64%. Kotkin and his COU colleagues disdain many of the building and land-use rules that, according to the National Association of Home Builders, add $80,000 to the average house price. And he hates measures such as “urban containment boundaries,’’ like one that seeks to limit sprawl outside Portland, Ore. He likes sprawl, which he says signifies a healthy housing market. Construction of houses on empty, relatively cheap land at the edge of a metro area — “greenfield’’ development of forests, prairie, desert and farmland — keeps down prices throughout the rest of the metro market. Only sprawl, he says, can deliver the American dream. As a result, much of greater Houston — an area three times the size of greater London with half the population — has been paved over, compromising the region’s capacity to absorb storm rain and floodwater. And maybe not just Houston’s. Another columnist, Mike Snyder, wrote that “developers all over the country are rethinking the nature of suburban development with an eye toward greater density and environmental sustainability.’’ Even Minneapolis is thinking about allowing “fourplexes’’ in areas zoned single-family residential. Kotkin, however, says “a wave of anti-suburban jihadism’’ sparked by Harvey would scapegoat developers, even though the epic rains would have created a disaster regardless of how Houston was developed, and even though the areas with the most sprawl did not suffer the worst flooding. It seems unlikely Houston will throw its housing formula out with the floodwater. It’s also unlikely that formula will go unchanged. Already, the city and county have raised mandatory house elevations and required more homes to have flood insurance, which will make new ones more expensive. Once, the single-family house was as much a symbol of California as the golden bear. But its precarious status these days is illustrated by state Senate Bill 827, sponsored by a senator from San Francisco named Scott Wiener. Wiener’s bill is an aggressive attempt to address two problems: high housing prices and vehicular air pollution. The measure would override local zoning to allow developers to erect taller and larger housing structures near mass-transit stations and stops. Buildings four to eight stories high could be constructed in neighborhoods zoned single-family residential, and such houses could be torn down and replaced with several smaller structures or one larger one. The bill is notable for its opposition — a coalition of neighborhood preservationists, civil rights groups and environmentalists, who feel it’s too heavy-handed. Wiener says he’s open to changes in the bill. But Kotkin is among those who finds the whole idea misguided; he argues that new, denser housing will inevitably be more expensive than what it replaces. To Kotkin, SB 827 is another example of state officials’ tendency to put other priorities ahead of middle-class housing aspirations. A few years ago, many planners and developers said Millennials were different. They preferred dense, walkable, urban neighborhoods to the suburbs in which they grew up and accepted less living space as part of the bargain. But even then, surveys showed that while Millennials might be happy apartment dwellers at the moment, in the future they saw themselves in a suburban house — especially if they had kids. And now, with the median age of the Millennial generation around 28 — two years from the traditionally median age of first-time home buyers — the problem is supply and price. This year, work will start on about 900,000 houses. But the projected demand for such homes is between 1.2 and 1.3 million, according to the homebuilders association. And fewer of those built are starter models. From 2002 to 2009, 44% of new single-family homes were $200,000 or less. Last year that ratio was 13%. By the start of the 20th century, the single-family house —surrounded by a yard and sitting on a street with other such houses — had replaced the rowhouse as the home to which most Americans aspired. Builders like Bill Pulte made that hope a reality. 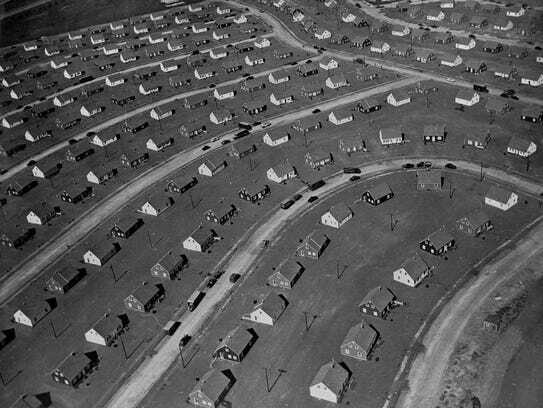 When World War II ended, little housing of any type had been built since the early 1930s. Veterans were sleeping in Quonset huts and converted trolleys, on relatives’ couches and fire escapes. By 1947, 6 million families were living doubled up. Pulte started building in 1950, the summer after he graduated from high school, with a bungalow on the outskirts of Detroit. Inspired by Levitt, who was building thousands of houses at Levittown on Long Island, and by Henry Ford, the master of assembly line production, Pulte built more and larger houses. He developed his first subdivision in 1959. By 1995, Pulte was the nation’s largest homebuilder. When Pulte died last month at 85, he was among the last living members of the generation of builders who created the single-family suburb. He’d also lived long enough to see their creation called into question.